A carrot is a food item that can be grown. 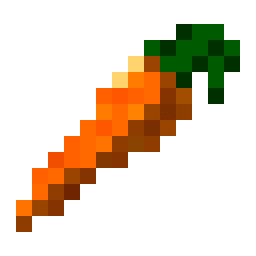 Carrots are items found in chests in dungeons, ruins, and skyholds. Carrots are rarely dropped by zombies upon death. Carrots are rarely dropped by rabbits upon death. Carrots can be planted on farmland. They change their appearance as they grow until they are fully grown, when they drop the most carrots. They can be grow instantly using bone meal. They grow in the same way as potatoes. A carrot is required in the recipe for a golden carrot. These heal more hunger points. 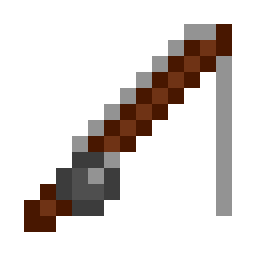 A carrot can also be used in the regular 2x2 crafting grid to craft a carrot on a stick, which is used to control pigs when ridden on using a saddle. Can be crafted into golden carrots.